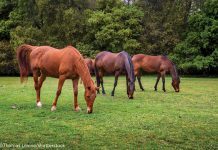 For countless horse-crazy kids, the top item on the birthday wish list is a horse of their own. Once in a while, one of those lucky kids gets to live the dream. 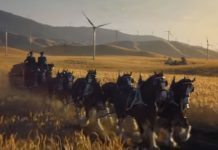 According to this video’s description, birthday girl Mallory had been working at a local stable. 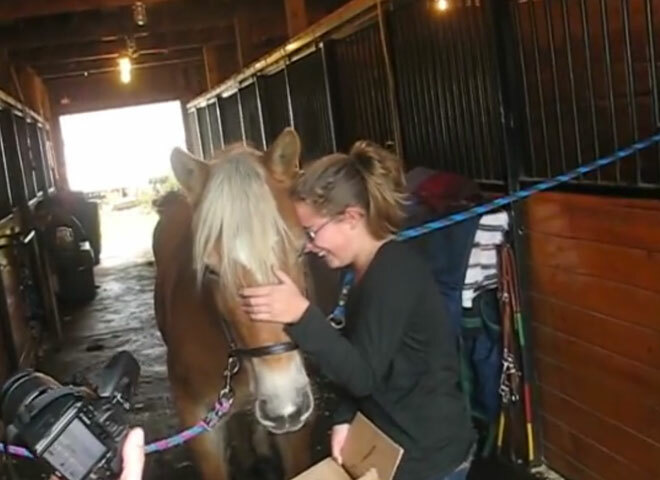 The owners were impressed by her dedication, and decided to surprise her on her 10th birthday with Cinder Ella, a Haflinger at the farm. Cinder Ella was brought out to try on one of Mallory’s other presents–a new halter–and so she could be there when Mallory figured out what the registration papers in the giftwrapped box truly meant. 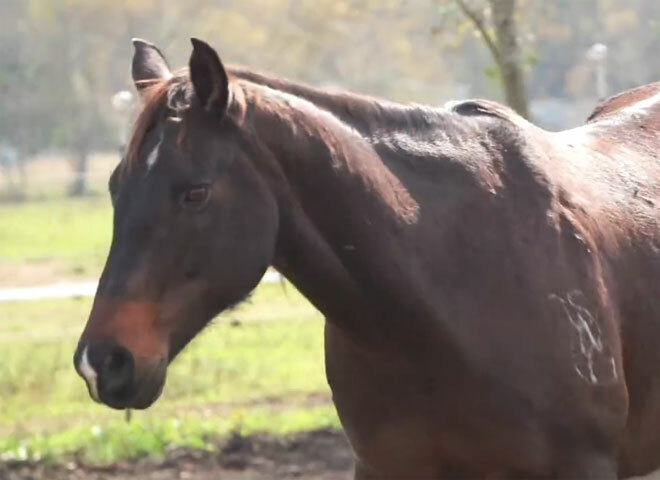 A horse rescue compiled this video of some of their beloved older horses. 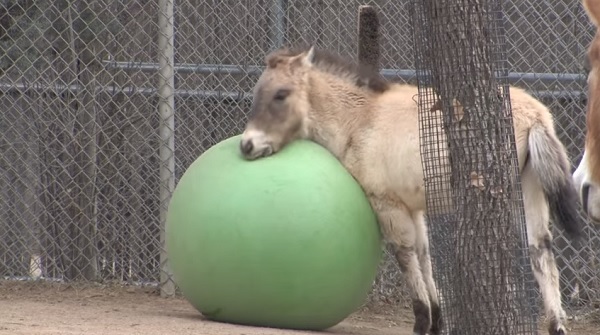 A big, green baby horse enrichment ball that is. 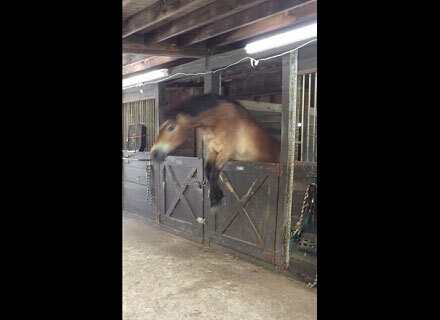 Chunk the pony figured he’d just let himself out of his stall. I cried tears of joy for you..
You are so very, very lucky. Enjoy your life with Cinder Ella! You are SO lucky! 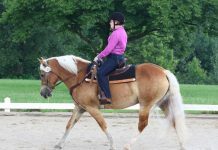 I’m getting my first horse for my 13th b-day (in may) and I can’t wait to find that special one! Good luck with Cinder Ella!!! Oh what an awesome birthday gift! You are the luckiest kid I know! WOW the best gift ever! Palomino, well Halflinger that is! Congrats on Cinder Ella!